I know that some cynic will probably write to me and tell me that it is all down to County Council planning policies, but there is something about the way that this area of Norfolk, so very close to the city of Norwich, feels so very remote, that lifts the heart. It reassures me that perhaps it will all last beyond my time. Maybe we aren't in the last days of old England after all. 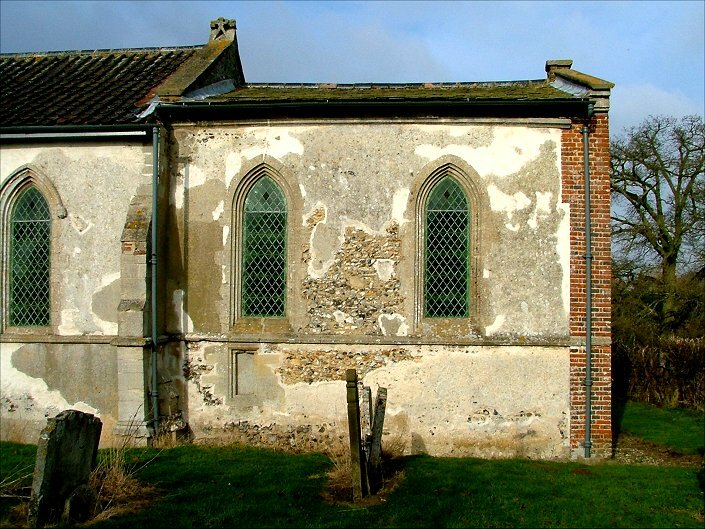 As for St Michael, no doubt it is its very remoteness that has led to its redundancy, but it is fortunate to be in the tender care of the Churches Conservation Trust. Reading about it in Pevsner, Mortlock and Nichols, I could not see that it was important enough to reach the standard required to be taken into the CCT fold nowadays, and so it must have been fortunate to have been declared redundant early, in the days when the old Redundant Churches Fund still had an evangelical zeal about preserving old buildings just for the sake of it. I understand, of course, that harsh financial decisions have to be made. But we are a rich country - certainly, compared to the 1970s when St Michael was made redundant - and I think that we can afford to look after the family treasures. 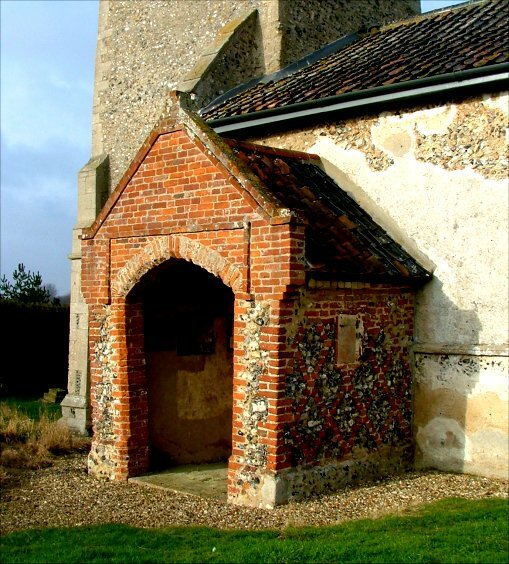 St Michael, as you will see, is a little jewel of Early English, an unusual thing to find in Norfolk on such a small scale. The east wall has been completely rebuilt at some point, and Pevsner thought this had probably happened in the late 18th century. It is not unattractive. Unfortunately, despite this being a CCT church, we were unable to get inside. 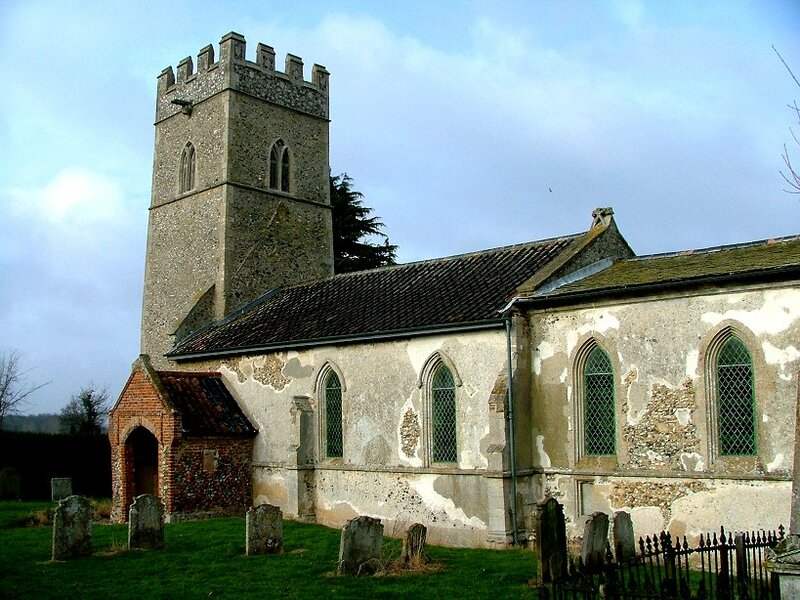 Surprisingly, many CCT churches are kept locked in Norfolk - this one is open some weekends in summer according to the sign, but how would you know? But the sign also says that there is a key at the only other house in the area, the old rectory next door. I had recently read that one of my heroes, the writer Bill Bryson, was now living in an old rectory in the Wymondham area, so it was with some excitement that I picked my way around the paddock of ducks and geese to the front door of the large red-brick building. Could this be the Bryson house, I wondered? I looked for signs that a venerable American writer might be in residence here - a US registration on a pick-up truck, perhaps, an Iowa State University pennant in an upstairs window, discarded Oreo Cookies boxes by the wheelie bin - but there was nothing. There was nobody in, either. 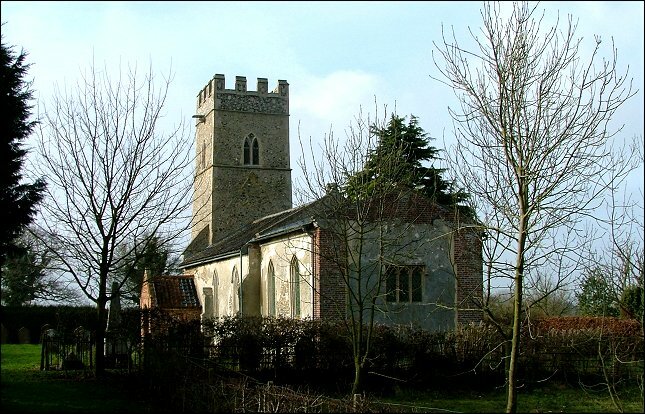 But before anyone heads off to Coston on an autograph hunt, I must tell you that the kind residents of the house have since contacted me to advise me that not only are they not Bill Bryson, but also that it is planned for this church to be open every day during the summer months. So, I shall go back, and I hope that you will too. In the meantime, Peter Stephens' photographs below show an utterly delicious interior. Something Bryson would love, by the way, is the gravestone just to the south-west of the tower; it's easy to find, this is a tiny graveyard and there are not many stones. 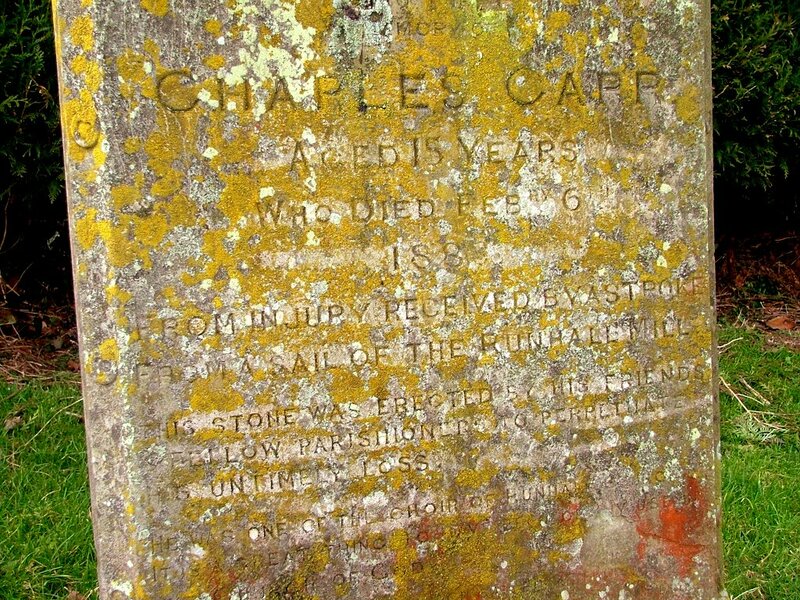 It remembers Charles Capp, who died at the age of 15 in 1886, from injury received by a stroke from a sail of the Runhall Mill. This stone was erected by his friends and parishioners to perpetuate his untimely loss. 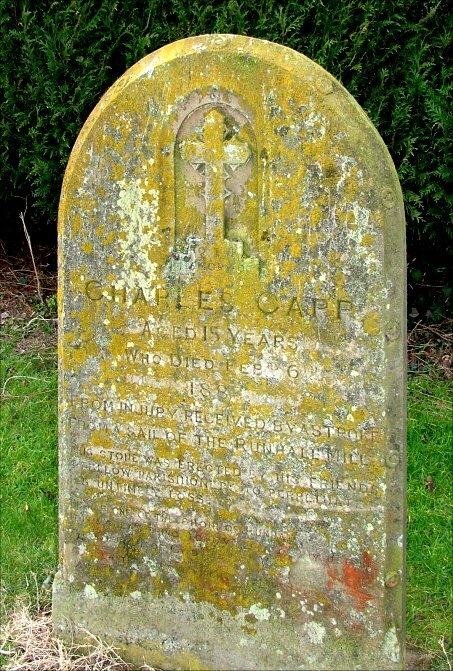 He was one of the choir of Runhall church. There's nothing like a nice day in the countryside to cheer yourself up.